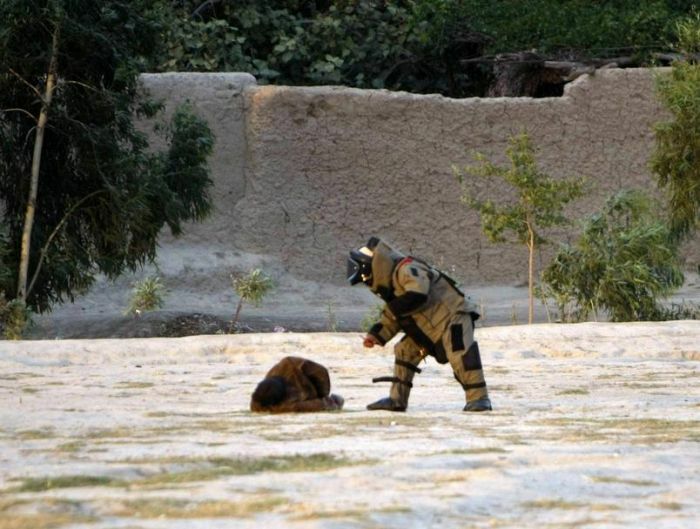 A bomb disposal expert, dressed head-to-toe in protective gear, defusing a bomb strapped to a man wearing a suicide vest in Afghanistan. 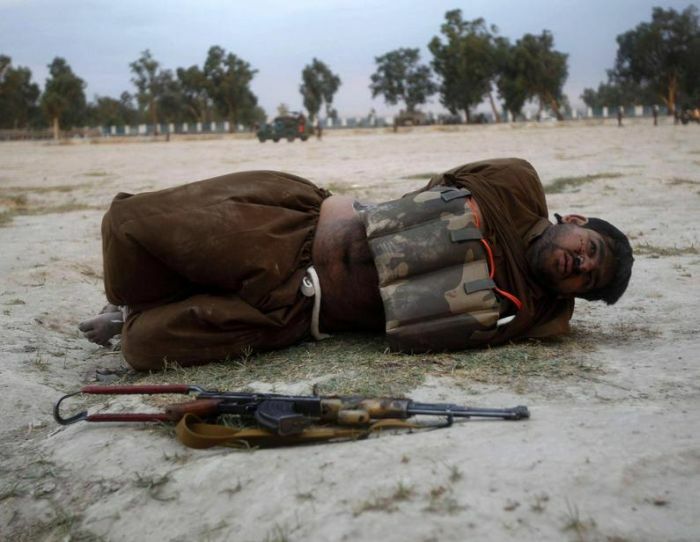 The suicide bomber was captured by soldiers who tied his arms around his back in order to prevent him from setting off the device. The distance somebody would go for a warped believe. Kudos! save hundred of lives! 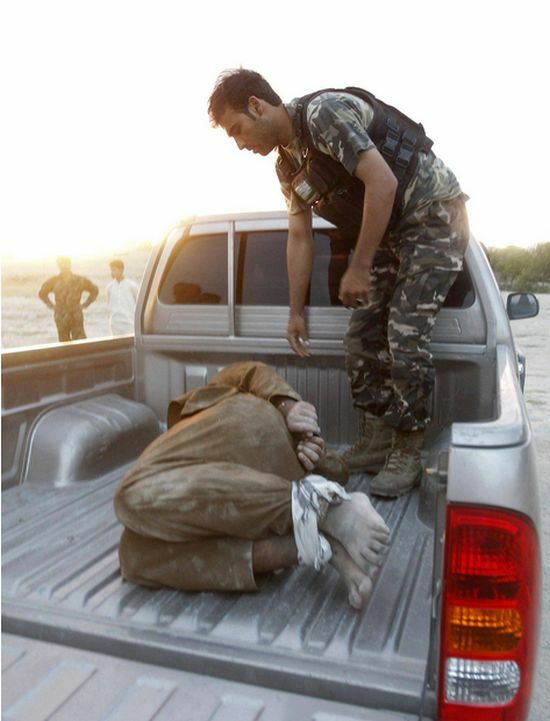 Why is the US still in Afghanistan?